You are not just allowed to post stuff on to your blog but also can see who is reading and what. You can view how is your blog performing on the web from your Blogger dashboard. Statistics regarding page views, post views, traffic resources and audiences can be seen on daily, weekly, monthly and till date basis. These basic data reports will help you get an idea of what's going on with your website on web. Page Views are the impressions that are counted when someone visits your blog/website. Precisely, when someone views your blog posts or pages, the count proceeds successively for each reload of the page. For eg., let us suppose www.amfastech.com is just now launched with '0' page views. When I open the website in the browser, the count is goes '1' and if I open a post or page or reloaded it again, the count goes '2'. Remember, one reload of the page counts one page view. Therefore no. of reloads=no. of page views. Post views are the page views that counts for individual blog posts. Page views for each blog post will be shown in blogger stats. So you came to know that someone visits your website. Right? So where does that someone comes from? How does he knew that you have a blog and you post some awesome stuff in it? Do you think all the page views you get come from your friends? Literally, I don't have billions of friends to reach 4 million hits till now but how could I make it happen? Read out! 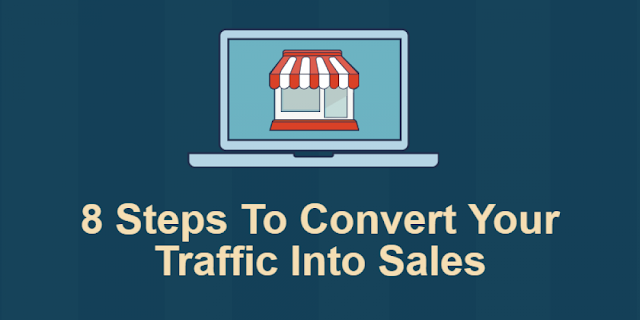 Traffic is generally the visitors of your website/blog. Whenever you post some thing quite interesting, it is indexed on the web. Search engines like Google does that job. They regularly visit blogs & websites on web to see if something's updated. Click on Stats in your blogger dashboard. By default, you will be shown the Overview of the statistics of your blog. In this regard you will see the stats as shown below. The graph you can see from the above screenshot shows the pageviews you are getting per two day intervals of time. Beside to it, you can see the pageviews that your blog is getting on day, month and till date intervals. Here you can compare pageviews to yesterday's stats in figures. Under posts, you can see the best performing articles for that month and besides to it, the traffic resources with the best sources for your site traffic. You can also see the thickness of traffic from the map shown below 'traffic resources'. The more the greener, the more the traffic you are getting from that area in the map. To view the statistics more particularly, click on 'more' from each stats category. You can view more precise statistics by clicking on 'Posts', 'Traffic Resources' and 'Audience' options under 'Stats' options. Statistics available can be viewed in daily, weekly, monthly and till date time intervals. Blogger stats are not accurate as they also record your impressions on your blog. 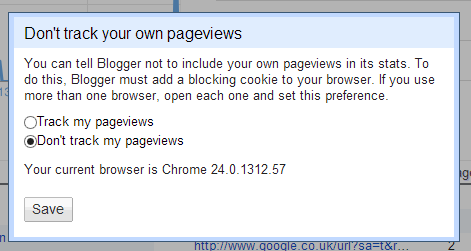 Click on 'Don't track your own pageviews' option and choose 'Don't track my pageviews' and click 'Save'. To get more accurate statistics create an account in www.google.co.in/analytics and check your site/blog's accurate performance which would help you in optimization of your blog/site. Hope you got an basic idea about Stats in blogger. Leave your doubts in comments! Read out all blogger basic tutorials.